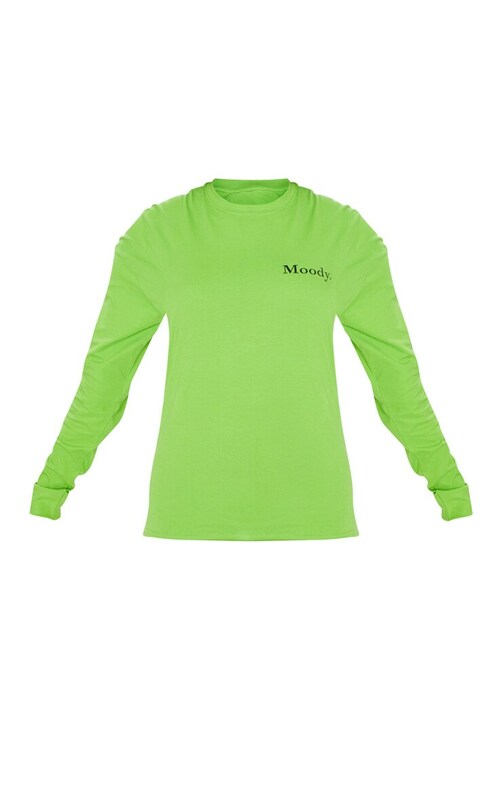 Add a pop of color to your wardrobe this season with this T-Shirt. 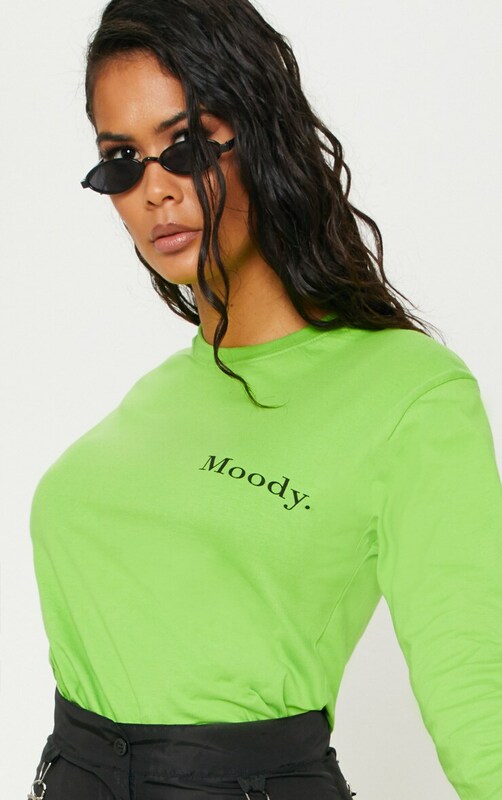 Featuring a bright green fabric with a 'Moody' slogan printed on the front, long sleeves and a loose fit, what's not to love? Style with black shell suit pants and chunky black boots for a fresh, cool look.